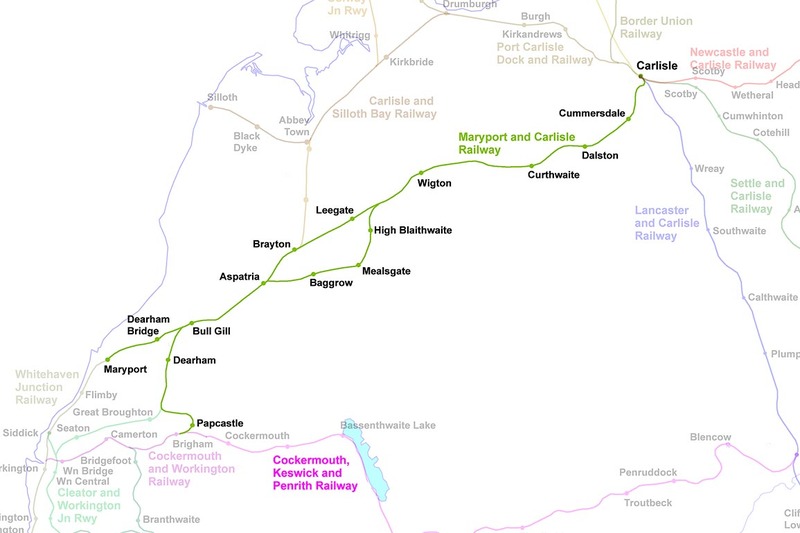 from Maryport, through Dearham Bridge, Bull Gill, Aspatria, then either Brayton, Leegate or Baggrow, Mealsgate, High Blaithwaite, then Wigton, Curthwaite, Dalston, Cummersdale, to Carlisle, Cumberland; AND extansion from Bull Gill, through Dearham, Papcastle, to the Cockermouth and Workington Railway, Cumberland. 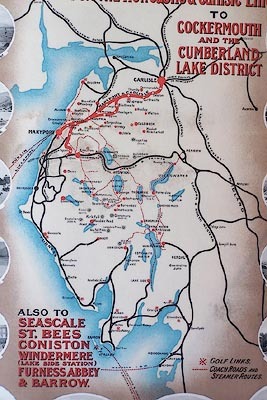 hearsay The route connected the Maryport and Carlisle Railway to the Cockermouth and Workington Railway near Cockermouth, Cumbria. 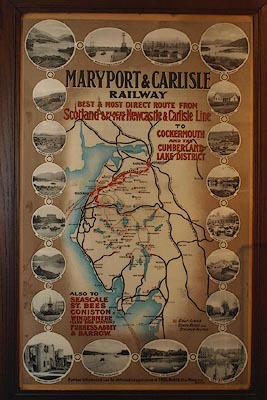 The route was from Maryport, to Carlisle, Cumbria.